I work for T-mobile in retail and they just released to employees the approved upgrade for the 9700, it should be released to customers soon and it works great. it isnt tmobile that gives us bb updates (i work for tmo) we have to wait for BB to realease them to our company for us to send them out……believe me you will love the update on the 9700…by far the BEST bb i have ever used…. how about OS v5.0 for the 8900!? i work for tmobile retail as well, where can i find this update streamline? Its not in streamline. In my market we have a BlackBerry lead for each store and each BlackBerry lead has contact directly with a rep from RIM. He shot me an e-mail to give us the link so we could download it. WTF everyone… Why wait. It’s a GSM phone. When one carrier releases an OS it’s like they all did. Quit bitching and waiting for TMo and just upgrade already! 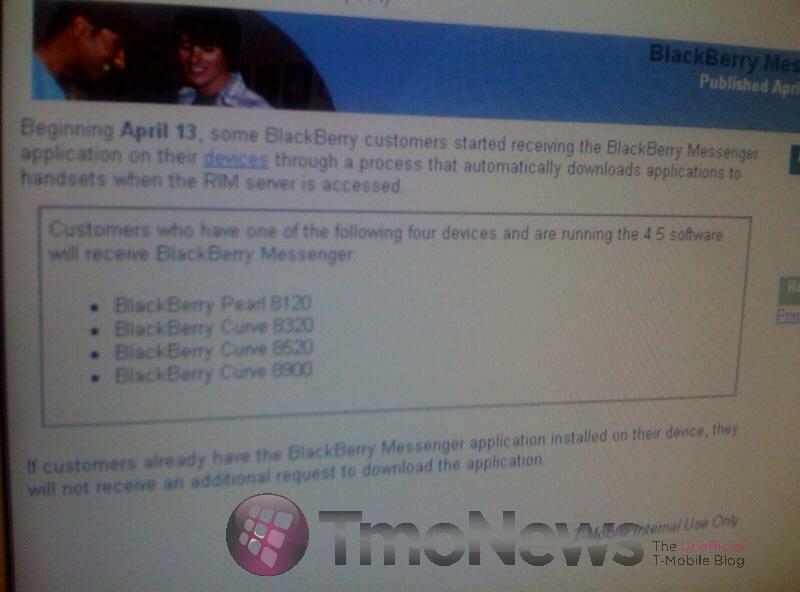 New BBM? i already upgraded to the new one that was available in blackberry app world.. is it the same one or could it be something different?